Thomas N.P. Johnson III joined Wunderlich Securities in July of 2014 from Raymond James. He currently serves as the Managing Director, Richmond Branch Manager. Tom brings over 40 years of industry experience assisting his clients to meet their long term wealth and financial objectives. He received his CFP designation in 1996. He is a graduate of the University of Virginia. 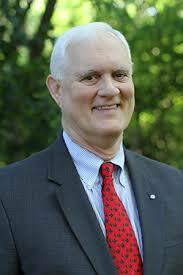 Tom currently serves on the Bon Secours Memorial College of Nursing Committee Advisory Board. He was a Vietnam era medic in the U. S. Air Force. He is a past Chairman of the Goochland County Economic Development Authority as well as a member of the Goochland County Fire Department, Manakin Company 1. He has also served as a past member of the board and chairman of major gift campaigns for the Tuckahoe YMCA.